At Dominican Limousine, we understand how stressful it can be traveling to an unfamiliar place where they speak a different language, and we’ve made it our mission to make your next traveling experience to Punta Cana as smooth and hassle-free as possible by providing you with a wide range of Punta Cana Airport Shuttle Services. Whether you’re on holiday or traveling for work, we will ensure that you get from the airport to your hotel with the utmost ease and in a timely manner, and we’ll be ready to pick you up right on schedule when it’s time to do it all over again. We understand just how stressful it can be to try and take care of all the logistics of getting from the airport to your final destination on your own, and that’s why we have a fleet of some of the best brands of cars available as well as expertly trained drivers who will work to make your journey as comfortable and stress-free as possible so that the only thing that you have to focus on after you land is the purpose of your visit. Upon arrival at the airport, you will be greeted by one of our friendly local greeters or drivers who will then guide you through the transfer process and deliver you to your destination quickly and professionally. Our drivers are at your disposal and they will be able to help you with anything that you may need. If you want the convenience of never having to struggle with luggage then book one of our Punta Cana Airport Transfers. This is a travel necessity that most people often overlook, much to their frustration later on when they are stuck waiting for a taxi for hours. Although taxis are a serviceable way to travel in most airports, their availability can be limited. On your next trip to Punta Cana, save yourself the hassle and book one of our Punta Cana Airport Transfers now. Our drivers are all fluent in English as well as the local dialects, and they are very knowledgeable in the regions in which they drive and they will be able to answer any questions you may have about the area which you’re going to. You can rest easy knowing that you’re in safe hands as all of our drivers are vetted using a rigorous application process. This means that we only hire the best and most highly-qualified applicants for the job. Our Dominican Airport Shuttle Service booking process is quick and easy. By entering your details like the number of passengers, drop off location, luggage, and any other add-ons you may want into our quick quote system online, you will be able to get an estimate of the airport shuttle pickup cost. Afterward, you will be able to choose which ride you want from our impressive fleet of Sedans, Minivans, Luxury SUVs and Sedans, Limousines, and Vintage Cars. We also have wheelchair accessible buses, limo buses, and even armored vehicles! As you can see, we’re fully equipped to be able to take care of any and all of your airport shuttle needs whether you’re traveling alone or as part of a large group. All you have to do is choose the option that is right for the number of passengers as well as the luggage you will be carrying with you. After you’ve made your choice of which ride is the best one for your needs, all you have to do now is to confirm by submitting a payment. Once all these details are entered, you will then receive a confirmation of your booking with details of the pickup. Check these details over before you travel and that’s it. Now you can relax in the knowledge that everything else will be taken care of by us. If you choose our service to take you to your destination we will provide you with speedy transportation and great service from the time you get off your plane until you’re inside your hotel. By using one of our private shuttles you never have to wait to drop off other passengers which is convenient and means that you get to where you’re going in the quickest possible time. The driver who is assigned to you will wait right outside the baggage area with a sign bearing your name to make it easy for you to spot them. Inside the car, you will have your choice of snacks and drinks which include refreshing and alcoholic beverages to help you unwind and make your trip more fun and memorable. No more chaos of or fumbling for directions trying to get to their hotel through a maze of unfamiliar locations on their own. Use our recommended Punta Cana airport shuttle service if you need a ride from or to the airports without any stops. When you prearrange for your airport shuttle you ensure a smooth, hassle-free ride to your destination. Frequent travelers know that it’s always better to play it safe, especially when it comes to reliable transportation. Our private Punta Cana Airport transfers and shuttle service are second to none. We have a fleet of fully insured vehicles of all kinds to ensure that your particular transport needs are met. All our cars are clean and comfortable, and well-maintained. You will never experience any problems while on the road. We provide consistent, reliable service which is secure and private for your peace of mind. We can personalize any of the services we offer to create a tailor-made solution for your particular needs. On your next trip to the Dominican Republic, book your private shuttle service with Dominican Limousine and experience comfort and style like never before. When it comes to professionalism and exclusivity, no one comes close to Dominican Limousine. We are the best choice for getting to any destination from Punta Cana Airport in a safe, convenient and affordable way. We are your best and most efficient choice for getting to your destination in quickly, comfortably, and in exclusive style. We are here to make sure that your transportation experience with us is one that you will cherish forever. 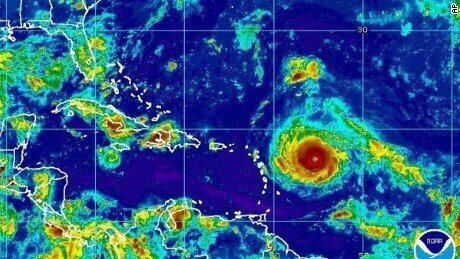 ​How to be prepared for the hurricane Irma​?